Like it or not, your hair says a lot about you. And even though this may not apply specifically to you, surely you can see why I would make such a claim. Our hair, namely those hairs which reside on our head, has a lot of significance. Part of what is fun about hair is that it keeps on growing. This obviously changes from one person to another, but overall, it is safe to say that hair can be a great thing to experiment with. People do crazy things with their hair, and so they should! Some dye their hair, some shave parts of it off, others let it knot up or put in all kinds of products – natural and less natural – in their hair. On some days, they’ll wear a hat – or even a brown paper bag over their head! – because they are having a “bad hair day”. We all want to take care of our hair, because we realize that it is a part of who we are. Furthermore, we all have a different kind of scalp and hair. Oily, dry, fine, straight, curly, spangled, tangled, and spaghettied! This is partly why there are so many hair care products out there. Hair Serum: More than shampoo or conditioner. We all want to take better care of our hair, regardless of the amount, the style, and the genetics involved. So, how do we go about doing that properly? 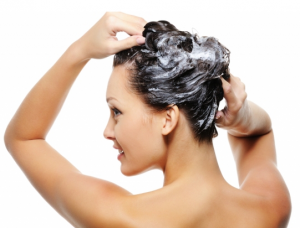 Well, the basic elements of proper hair care are manifested in the use of both shampoo and conditioner. A shampoo cleans the scalp and hair of any dirt and excess grease, while the conditioner makes the hair is softer and more manageable. In reality, our hair really needs more than that. Especially in this day and age when so many elements in our environment and daily routine are threatening the integrity of our strands and locks. One way to combat these adverse effects of the outside is by using a hair serum. A serum for hair is essentially a way to coat the outside of the hair, and protect it. Unlike oils which penetrate and nourish it from within, a serum is more of an outside assistant. Hair serums are often silicone-based, and are often infused with amino acids and fatty substances. This is done because the serum is meant to stay on the surface of the hairs, and guard against dirt, grime, and sun damage. 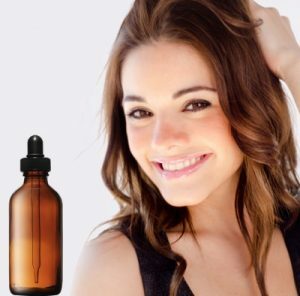 Some serums are also said to encourage hair growth. A serum for your hair is a product which, when used properly, can have you looking like someone out of a commercials. A head of dull and dry hair is suddenly transformed into a silky smooth mane. There are no miracle products in this world of course, but there are things which come close, and hair serums are one of them. There is a lot of potential here, and the key is finding a serum which fits you. There are many brands which offer serums of all kinds, but there is also the option of creating your own home made serum, designed specifically for you and your hair. The cosmetics and beauty companies don’t know much about your own surroundings and daily schedule, but you know who does? You! Which is precisely why you are in a perfect position to make your own hair serum. There is a catch here that you should be aware of from the start. The most simple of hair serum recipes often involve ingredients commonly found at home. We don’t all have silicone-based substances just lying around the house and because of that, beware that your DIY serum may attract dirt faster than a commercial one. If you are planning on going on an archaeological expedition in the deserts of the Mojave – or just on an outdoor adventure of some kind – perhaps it is best you use a commercial product that time. FYI. 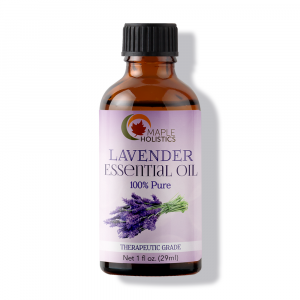 A few drops of lavender oil (or any other scented oil you’d like to add, like rosemary). Don’t overdo it, though, since these oils are strong as it is. Mix in a glass vial and shake. You serum is ready. Take a few drops on your fingers, rub lightly so it gets on your hands, and apply it to damp or dry hair. Work your hands into your hair, specifically from the middle of the length of your hair to the ends. The hair should be washed and clean before you apply serum. If your hair looks good overall, but you are interested in preventing split ends and any damage, apply to the ends of your hairs instead of your whole head. A good hair serum will allow the user to not worry about frizz forming. But what about hair which is frizzy by nature? Again, remember that the point of this treatment is not to penetrate and change the hair’s composition, but rather to stay on the surface and improve the hair’s health and look from the outside. A simple recipe for anti-frizz serum involves one key ingredient – castor oil. 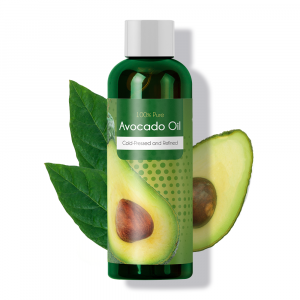 It is an oil rich in fatty acids, so it provides the hair with a nice shine and hydrates it. 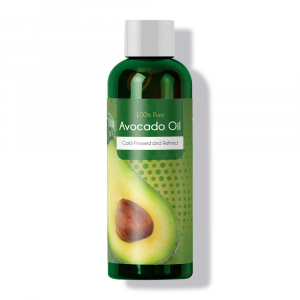 Another good one is avocado oil, which I mentioned earlier. 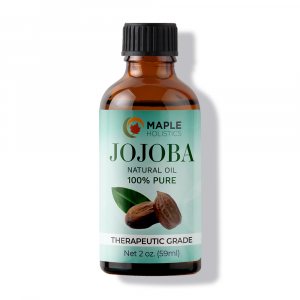 This allows the serum to do its job, vitalize your hair, and keep the frizz to a minimum. Additional ingredients vary, depending on your hair. You can use any number of essential oils for scent purposes, but again – be careful not to overdo it. Too many cooks spoil the broth, am I right? As for the before and after results, this is something which I am always happy with. I never had any problems with my hair, really. No major transformation or anything, but I will say that I could definitely see and feel how the DIY hair serum got me looking my best, with less of a hassle, and for less money. As someone who strives to use natural products, I was very happy to make my own serum. Your mileage will definitely vary. 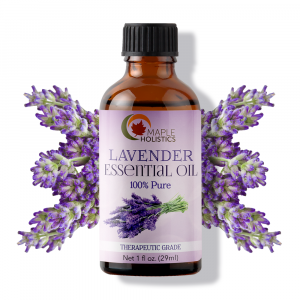 Check out more DIY projects from Maple Holistics: Absolute Oils, DIY Hydrosol and Dog Shampoo! There is a lot more to proper hair care than shampoo and conditioner. This is not true to everyone, but many who take good care of their hair are becoming interested in ditching the commercial, chemical-laden products, for more natural ones. This is definitely a way to get that done, and to have shiny and smooth hair in the process. A hair serum needs to be spread evenly and given some time to work its magic. Over time, you will be able to see just how perfect your hair can be! 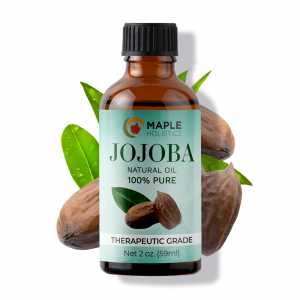 This isn’t about pushing something on top of your current beauty and hair care regiment, but rather an opportunity for you to become aware of a more natural way to encourage hair growth, style it with no problems, and keep it well-protected.